As kitchen appliances go, many have been around for almost one hundred years, pretty hard to believe yeah? Well age really has proven to beat some of the newer brands of appliances, because they have proven to be much more reliable, and work much harder and longer than most of the newer brands of appliances you’ll find today. Established in 1899, Miele is one of those wonderful grandfather brands that beats the newer brands when it comes to functionality, appearance, and quality, and if you haven’t already, why not give them a try? They have proven to not only be dedicated to their work, but they’ve proven to be very innovative when it comes to their work as well, which creates a very good combination for any type of brand or company. With older brands like Miele, you’re sure to find the perfect appliance for your kitchen or household. And with German brands you’re offered some of the hardest working and modern appliances available. So with Miele you’re getting the best of both worlds, as they are an older German company that makes up for its age by giving you appliances that are just as chic and modern looking as their competitors. Miele also creates a huge range of appliances for cooking and your kitchen. From dishwashers to refrigerators, to smaller appliances like coffee machines, you’re sure to find something that is perfect for you and your kitchen. They even offer vacuum cleaners of all shapes and sizes, so they truly are your one stop shop for all your household appliance needs. Who could ask for more? With age comes growth as well, so you can know for sure that Miele appliances have grown and fixed their bugs and kinks over the years, so you won’t have to worry about appliances that won’t work properly or fall apart after a week, no! If you purchase appliances from them you’re sure to get top notch durability that will last you a lifetime. They also offer cleaning products that are designed to perfectly clean any of the appliances you purchase from them, so you won’t have to worry about purchasing the wrong kind of cleaning product and in turn wasting your money or ruining your appliance. No! you’re given the option to purchase the proper cleaning product right when you purchase the appliance so you won’t ever find yourself worrying over anything like that. 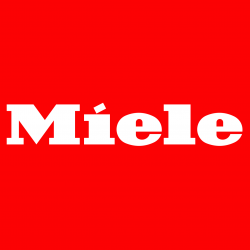 Miele really does offers tons of choices for your cooking and cleaning needs, and they’re all guaranteed to make your life much, much easier, so when purchasing you’ll know for sure that these appliances will work perfectly for you. And who doesn’t love having their life made easier? With how difficult life can be, don’t you deserve to have something allowing you to have an easier life in some way? The choice of motto turned out to be incredibly apt, as throughout the companies existence, it has provided some of the best appliances for in an around the home; recent appliances that have rated highly with users include the KDN12823 S-1 Fridge Freezer, a sleek, affordable fridge freezer combo that stands at 1820mm in height, and 600mm in width, comes with Frost Free technology, and even features a mechanism in the door levers that prevent damage to the seal. As expected of a German kitchen appliance, it also boasts an A+ energy use rating, keeping your carbon footprint small, and your kitchen free of noise pollution. Some of their more interesting fare include a line of Steam Ovens- Ovens that, instead of relying on the use of gas-sparked flames, work by generating steam externally, that it then injects into the oven cavity- the cheapest of which is the DG6010, a freestanding MonoSteam model that comes in a sleek obsidian black, carries that same 20 year minimum guarantee all their products carry, and has the added benefit of requiring no plumbing or pipe work to set up and start using. Add in that Steam Ovens retain all the nutrients in your food a gas or electric one would, yet ultimately makes for healthier, tastier food, it’s no wonder they’re becoming a very popular appliance. We here at Silke have often vouched for the quality of German kitchen appliances, and Miele certainly provide some of the best among the best, making them an obvious choice for one of our many suppliers. Now, if you’re in the market for new appliances you’re sure to want to purchase some Miele ones today, because you’re sure to fall in love with these appliances as they make your life better and more fun all at the same time. So find yourself falling in love today, and enjoy all that these kitchen appliances and accessories have to offer you. You won’t regret it!